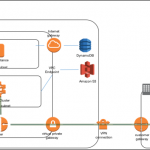 If you found this post useful, be sure to check out Securely Access Web Interfaces on Amazon EMR Launched in a Private Subnet and Respond to State Changes on Amazon EMR Clusters with Amazon CloudWatch Events. Ilya is a solutions architect with AWS. He helps customers to innovate on the AWS platform by building highly available, scalable, and secure architectures. He enjoys spending time outdoors and building Lego creations with his kids. Roger is a solutions architect with AWS. He helps customers to implement cloud native architectures so they can focus more on what sets them apart as an organization. Outside of work, he can he found woodworking or cooking with his family.